FOR A POWERFUL AND DIFFUSING LIGHT. 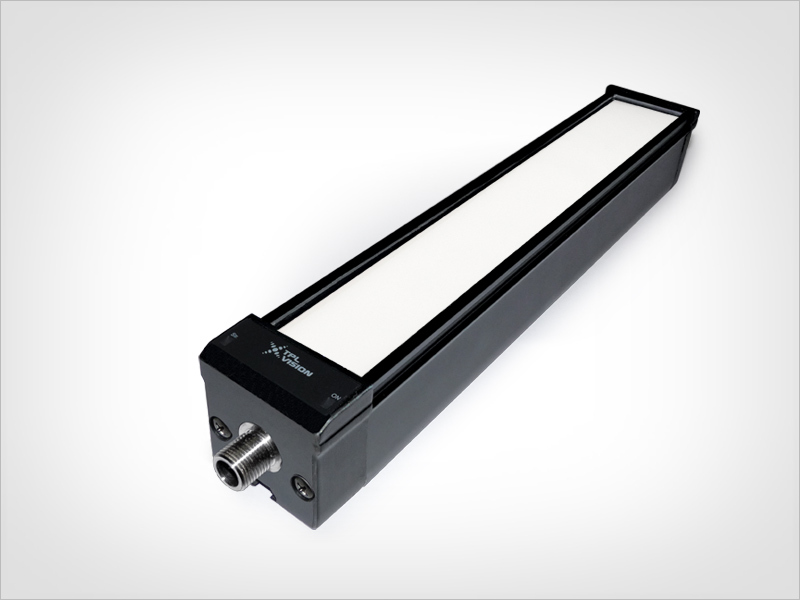 The Backlight BLBAR+ is a very powerful lighting solution, equipped with an opaque diffuser, that offers a perfect diffusion of the light on the whole surface, included on the edges. No hot spot to be noticed ! It’s the best camera’s partner for Web Inspection applications. The Backlight BLBAR+ is usually used as a traditional backlight, to make the workpieces shapes appear thanks to shadow puppet effects, but it can also be used as a direct diffuse light. Its black structure enables a good LED heat dissipation. The Backlight BLBAR+ is IP65 by default. 2 LED indicators near the connector show if the product is powered. As any other TPL Vision’s bars, you will also appreciate its solid aluminum structure and its easy fixing. The LINK version has a specific wiring, compound of 3 M12 connectors. 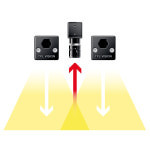 So, you can easily link the light directly to the camera, and if necessary, to supply the light with extra power. 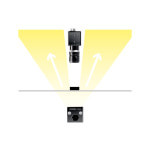 You can also connect several lights one to another, for a perfect signal synchronisation. The LINK version perfectly fits high speed production lines.